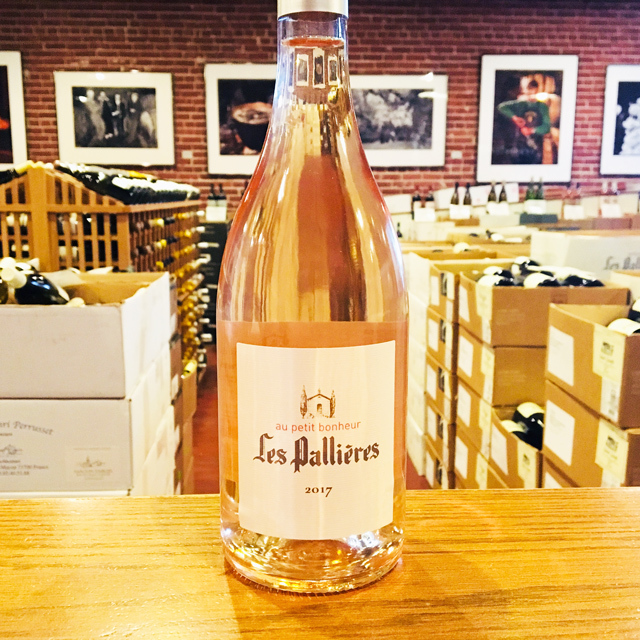 Fill out your info and we will notify you when the 2016 Châteauneuf-du-Pape “La Crau” Domaine du Vieux Télégraphe is back in stock or when a new vintage becomes available. 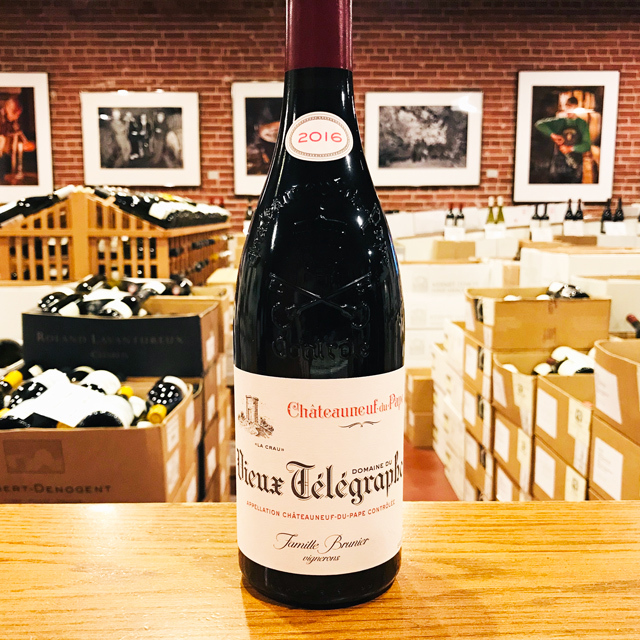 Daniel Brunier was absolutely beside himself with anticipation last month when the subject of the 2016 Vieux Télégraphe vintage came up. 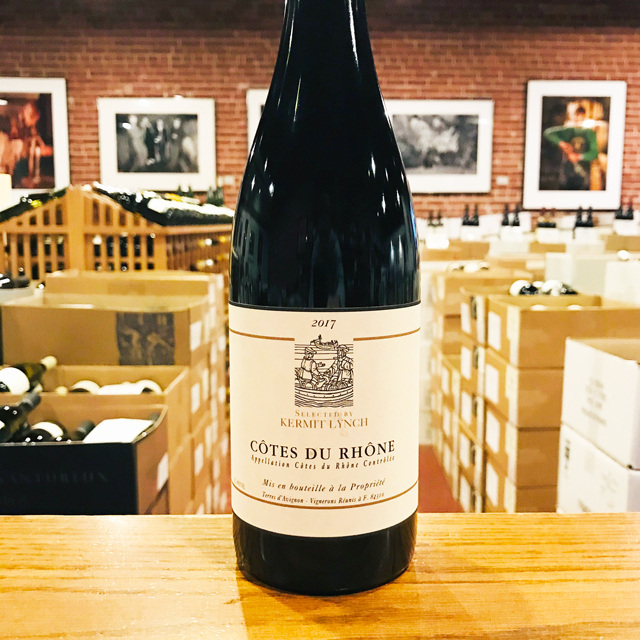 “I would never use this word lightly, but 2016 is the absolute best vintage I’ve ever seen here since 1978… I loved the 2010, the 2007, there were others which gave great emotion, but 2016…” and with that he just nodded his head in disbelief. This was at a casual, home-cooked, off-the-record dinner, not at a trade or promotional event. “This vintage is so… vibrant. The rusticity of our La Crau vineyards, of the old Châteauneuf-du-Pape, is back”. Intrigued, we went to the cellars the next day to taste. 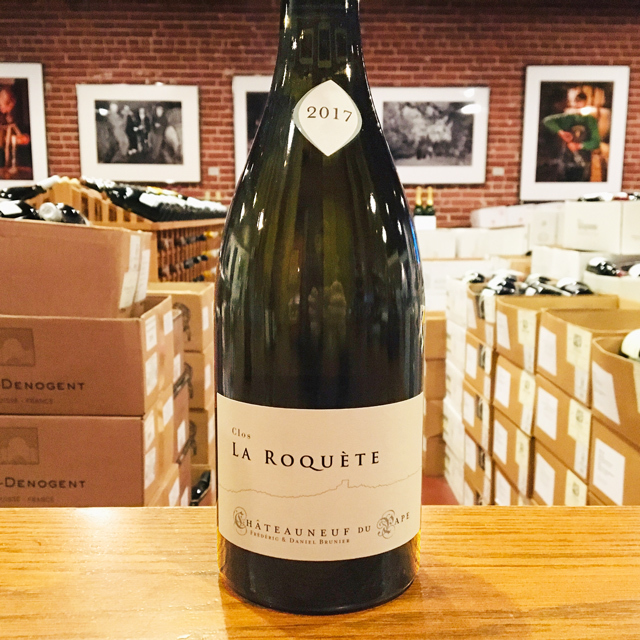 We tasted out of the casks, and indeed what was in the glass was unlike no other Châteauneuf I’ve ever experienced. The juice was luminous and bright, clearly alive and kicking. The taste was salty and spicy, herbal and airy…hardly what one would expect from this neck of the woods, yet a profile for which I believe all great southern wines can strive for, and perhaps once did strive for a few generations ago. 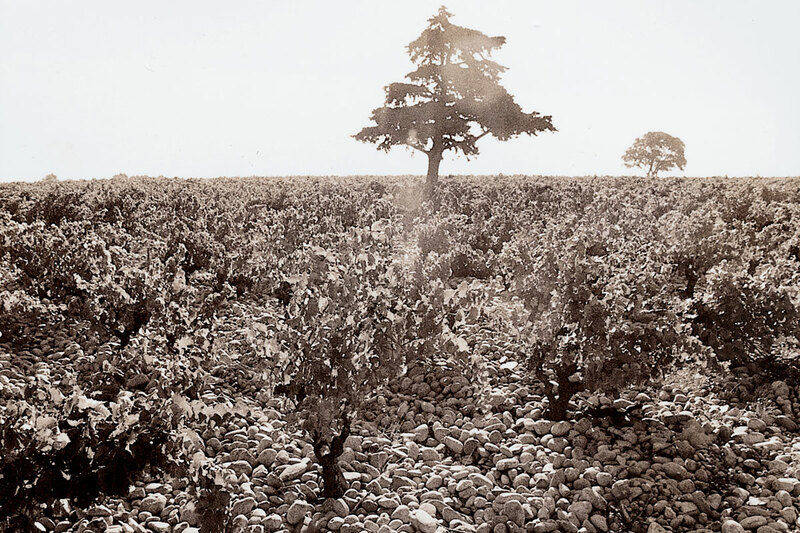 Four generations of Bruniers have been farming the rock covered La Crau plateau since 1891. The steady family stewardship of the land, coupled with one of the most singular terroirs of the world (the rock covered plateau where these vines grow is at points four meters deep with rock before you hit a grain of soil), along with ideal growing conditions and a winemaking approach of zero extraction, gives you…2016 Vieux Télégraphe. 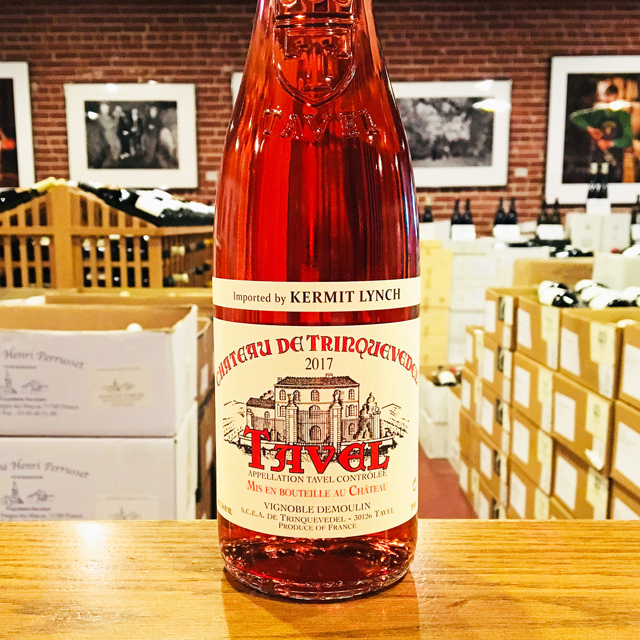 One cannot think of Châteauneuf-du-Pape without thinking of Domaine du Vieux Télégraphe. The Brunier family is legendary in its own right, having been rooted to the plateau known as La Crau for over a century. 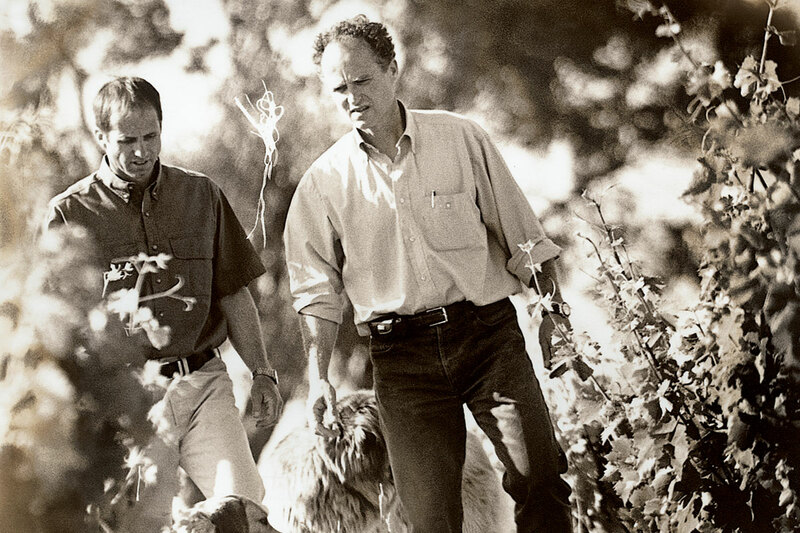 The wines of Vieux Télégraphe evoke terroir in its purest form, reflecting the dramatic climate, the rough terrain, the sun exposure at a high altitude, the typicity of the varietals, and of course, the influence of their caretakers, the Brunier family. 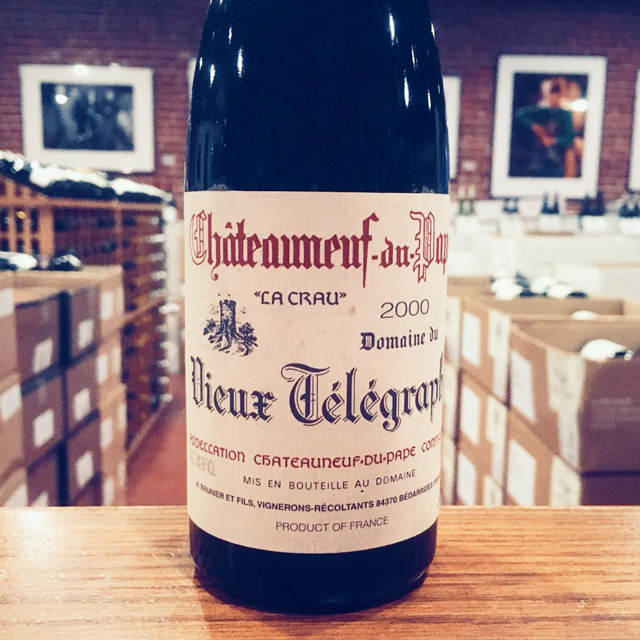 For many, La Crau is Châteauneuf-du-Pape’s grandest cru. 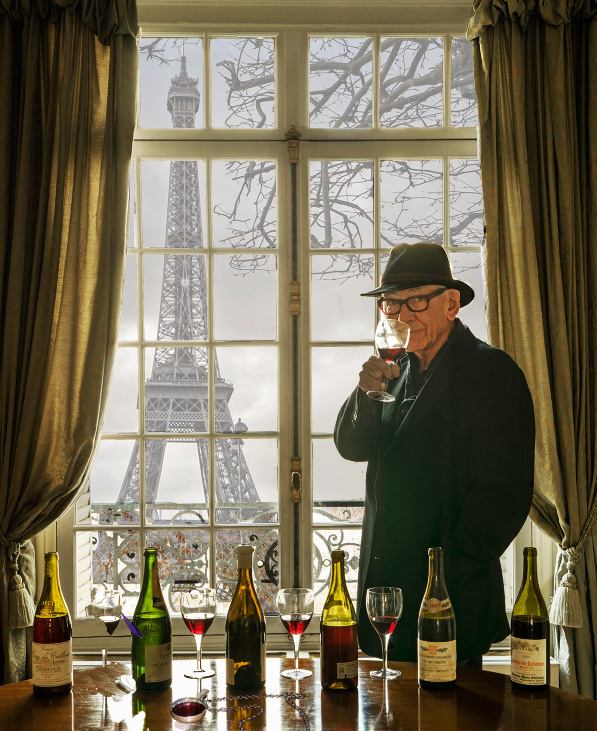 The wines of V.T. are classic, displaying strength, rusticity, and tremendous longevity. Their goal is to find a harmony between aromatic complexity, tannic structure, and richness, which they achieve year after year.